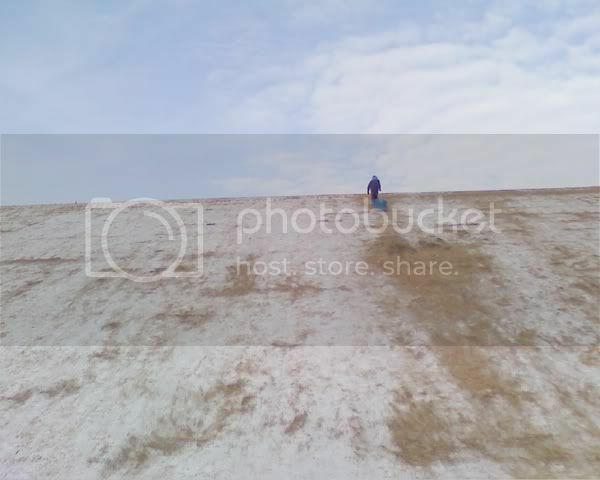 My son and I hit the slope on Holmes Lake Dam is morning. 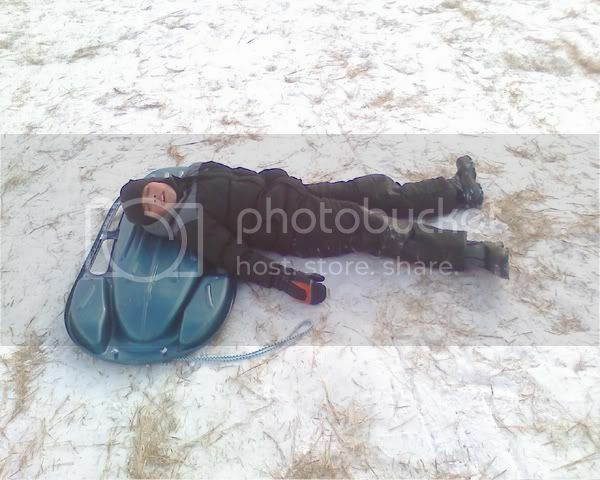 It had been worn down from all the sledders over the last week but we thought we`d try it out. 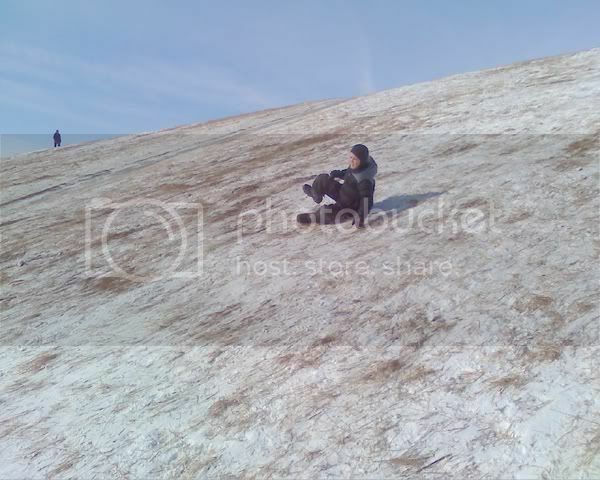 Temps were well below freezing so the slope had good ice pack on it. But it was a fast track my friends, you had to hang on and steer true to survive. 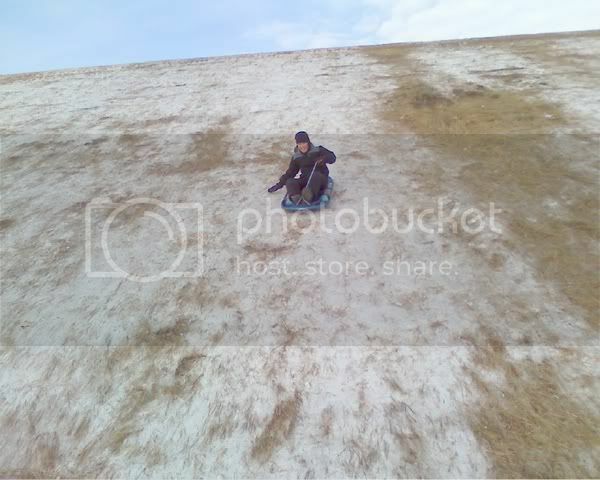 and if you didn`t your sled will leave you well behind. Can do anything, master of nothing. Please promote " Out for some fast Sledding "